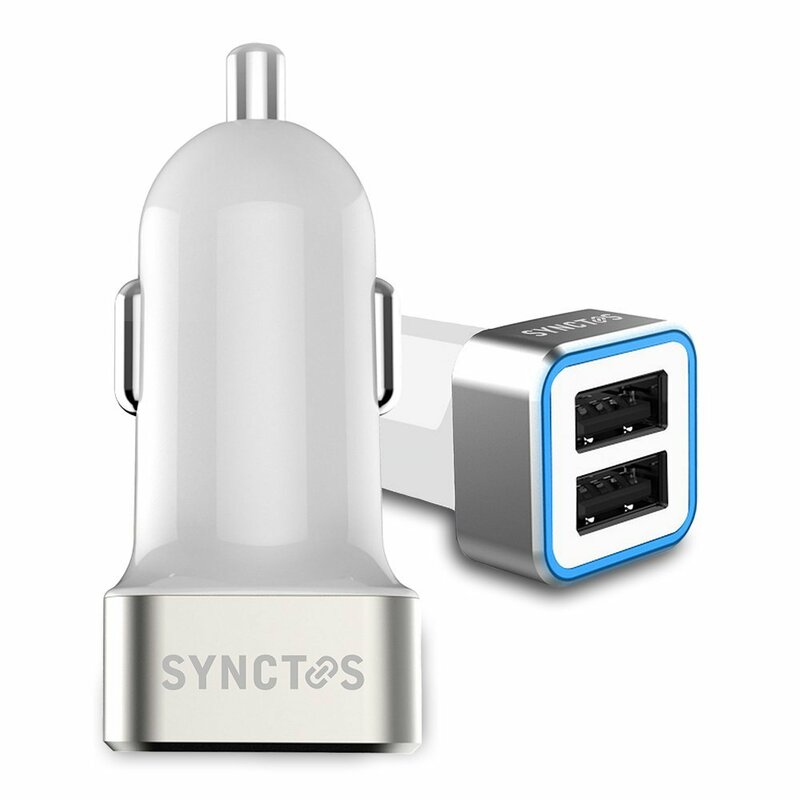 I just tried out this great phone charger for the car by Synctos. I am always on the go these days. I travel a lot of work and even when I am not traveling as a mom of 3 very busy girls I am always in the car running one of them to an activity. So my phone is often in need of charging while we are on the road. That’s where this awesome Car Charger from Synctos comes in handy. I can plug this right into the car outlet and then plug in my phone. It has two USB ports on it so I can charge two devices all at one time. It works really fast and has my phone charged and ready for use in no time. CHARGES ALL MOBILE DEVICES – Charges all your mobile devices while driving: smartphones, tablets, MP3 players, digital cameras and GPS (USB cables not included). CHARGES TWO DEVICES WITH A HIGH POWER OUTPUT – With 2 USB ports and a combined 24W / 4.8A high power output, it’s no problem to simultaneously charge two tablets. AUTOMATICALLY PROTECTS YOUR DEVICE – The integrated Intelligent Chip automatically detects your mobile devices and protects them against short-circuiting, over-heating, and over-charging. DURABLE AND COMPACT DESIGN – Our durable and compact design ensures a dependable and consistent USB car charger suitable for all mobile devices. The blue LED indicates whether the Car Charger is inserted in the right way.